The Property Council of Australia selected Valmont to create a welcoming new Perth office for their West Australian clients, showcasing the views from the mezzanine floor at Australia Place in the Perth CBD, including clear vistas of the newly-constructed Elizabeth Quay. 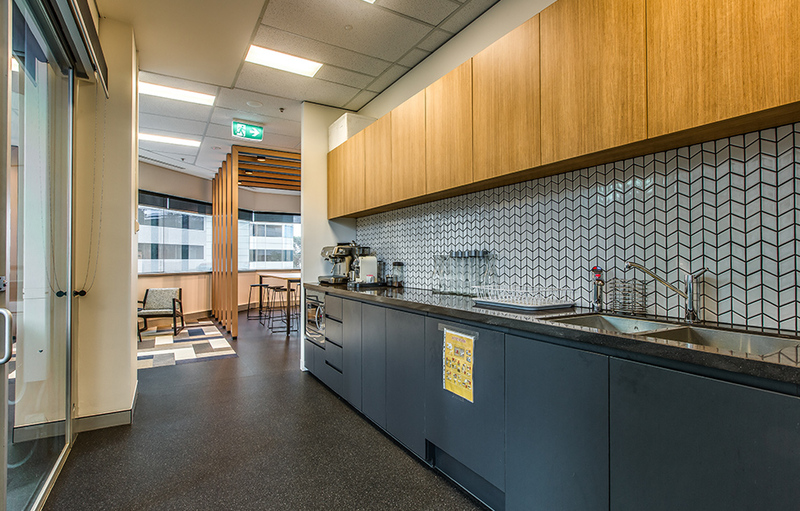 As the leading advocate for the Australian property industry, the PCA were keen on modernising and integrating their workspace with client spaces. 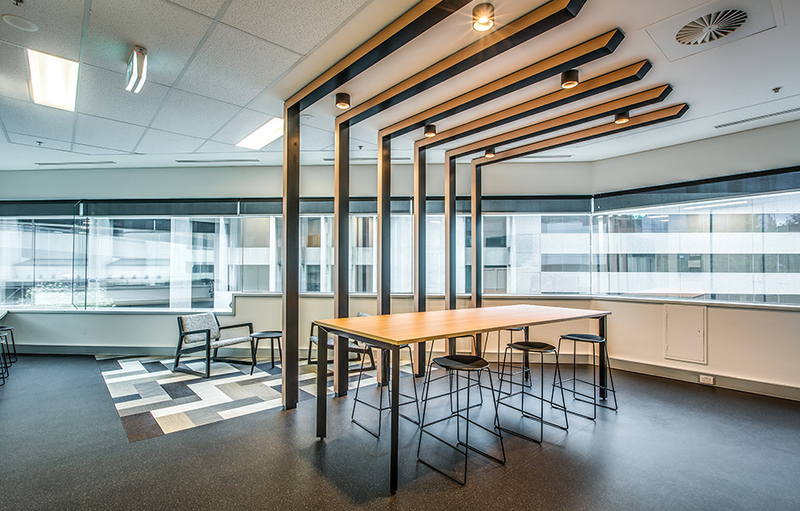 A dynamic blend of internal collaboration, client meetings and larger functions demanded mixed-use and multiple meeting zones, whilst still maintaining an open environment. 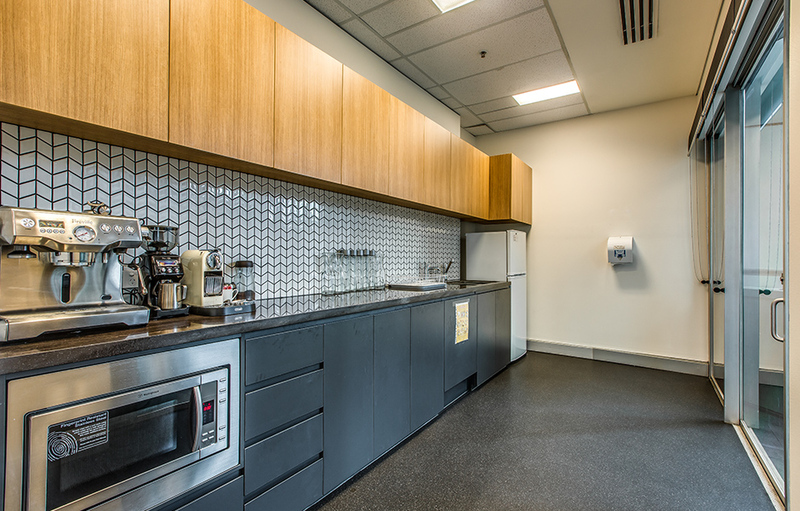 This required careful examination of the existing ways in which the PCA team worked to ensure continuous cohesiveness in their workplace as well as creating a warm, welcoming environment for clients to feel a sense of engagement and overall openness. By enforcing open workspaces, flowing transitions and a contemporary palette, the resulting space facilitates team and client connection, which employs variations in flooring and use of feature screening to divide the areas, while maintaining a continual flow throughout. The unique façade of the building assisted in accommodating the requirement for a large client boardroom/function room, with optimal views of the Swan River. Similarly, the opposite end of the tenancy houses a generous breakout and casual client lounge with views of the William St streetscape. In between these two client areas, the team can work in an open plan setting. The outcome of considered planning and optimisation of natural light, existing views and inviting finishes has provided the PCA a welcoming and impressive space for their clients. The Property Council of Australia employs around 100 staff located across ten offices around the country. Its purpose is to champion the interests of more than 2,200 member companies that represent the full spectrum of the industry, including those who invest, own, manage and develop, creating places and environments where people live, work, shop and play.